2008 Girls Basketball District 3 Championship Team to be recognized. 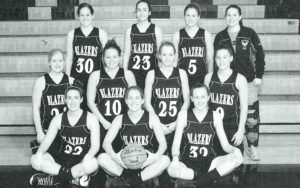 Blazer Nation will be recognizing the 2008 Girls Basketball District 3 Championship Team during the Friday, January 26 basketball games. Players will be introduced during halftime followed by a light reception after the game.